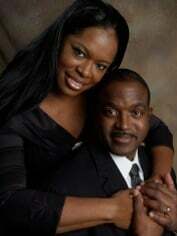 Pastor Jonathan T. Hanna and First Lady Ruthy Hanna, his wife of 27 years, are natives of Nassau, Bahamas. In 1983, Pastor Hanna enrolled at Piedmont Bible College where he received his Bachelors of Theology degree in Winston Salem, North Carolina. During his educational pursuit, he was licensed as a Minister of the Gospel at Shiloh Baptist Church in North Carolina and the Saint John’s Native Baptist Society of Churches, Nassau, Bahamas. Responding to the Lord’s leadership, Pastor Hanna and Ruthy came to Fort Worth, Texas in 1990, where he enrolled at Southwestern Baptist Theological Seminary. During his graduate studies and shortly thereafter, Pastor Hanna served as Pastor of both the El Tesoro Baptist Mission and Grace Community Church. In 1993, Pastor Hanna obtained a Masters of Art Degree in religious education with a concentration in church administration. The Lord blessed Pastor Hanna and Ruthy with a beautiful daughter, Raigan, on May 28, 1996. The First Family has also been blessed with five additional children: Tyler, Maria, Riley, Jose, and Dusty. Pastor Hanna is the founding pastor of Agape United Christian Fellowship. He is a Bible-based preacher, elementary school teacher, and musician. After 19 years of pastoral ministries, the Lord blessed Pastor Hanna with the privilege of writing a book entitled Marriage for Keeps: The Tailor Made Plan, which was published in March 2007. The book is designed to prepare couples for marriage and strengthen the relationship of married couples.